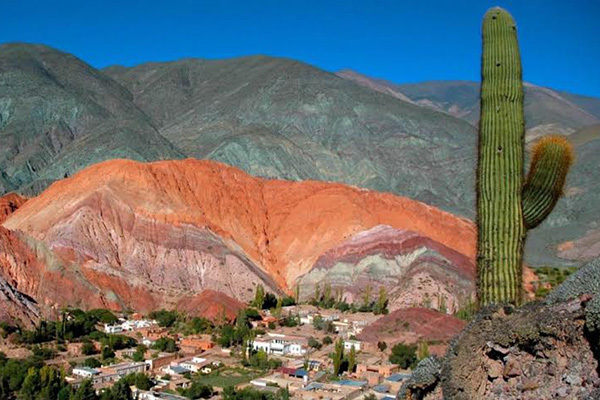 Nestled in the Sacred Valley, this spectacular resort & spa invites you to relax and indulge your senses. It offers 128 beautiful guestrooms divided into 4 categories; a spa, the Hawa restaurant designed with a perfect balance of indigenous elements; a bar, a swimming pool & private gardens. This extraordinary hotel is built on a seventeenth century colonial hacienda by the Vilcanota River, just one hour away from the city of Cusco and 30 minutes from Ollantaytambo train station; on the route to Machu Picchu. The hotel offers 101 rooms and 14 suites decorated in colonial style as well as other modern minimalist decor. It also features 2 restaurant, 1 sushi bar, bar , outdoor swimming pool, Jacuzzi , library, art gallery, movie theatre and the largest wellness centre in the region. Set on the banks of the rushing Urubamba River, this beautiful Orient Express hotel is built in natural materials to resemble an authentic Andean village, It offers deluxe rooms, Junior suites and Villas built with luxury combining the essence and colours of Peru with European minimalistic colours. It also features a gourmet restaurant & bar and the Spa Mayu Wilka. This mountain chalet styled hotel retreat with panoramic Andes views from every room and every angle.On more than 8 landscaped acres (3 hectares), it offers beautiful gardens, 92 comfortable guestrooms, a restaurant, bar, game room, Planetarium & observatory and the Sacred Spa. 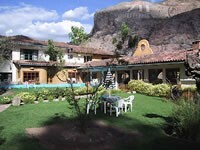 This hotel is a former 18th century colonial-style monastery and is surrounded by beautiful gardens. It offers the Inkafe Restaurant and 87 guest rooms featuring television, individual climate control, direct-dial telephone for domestic and international calls, hair dryer upon request and safe. This charming Boutique hotel in the Sacred Valley of the Incas is a historical religious monument built up in the XVII century that was cautiously remodelled in 2007; has all ascetic, monastic, and magical tradition of an ancient monastery, together with the comfort and technology will make you feel part of the spiritual mysticism of the Sacred Valley of the Incas. It offers Wireless broadband internet access in public areas and guestrooms, a restaurant, lobby bar and 30 guestrooms. This Hotel was an ancient colonial estate, today remodelled in a wonderful hotel; inside its facilities you will find a beautiful garden and lush trees, characteristic of the splendid greenery of the Sacred Valley of the Incas; furthermore, the hotel has offers 100 rooms and suites, an outdoor swimming pool, and an exclusive spa, allowing you to enjoy a quiet and relaxing atmosphere thanks to the best service.